The new album by Animal Collective keeps with their ‘Collective’ namesake this time around, consisting of Geologist (Brian Weitz), Avey Tare (Dave Portner) and Deakin (Josh Dibb). That’s right Panda Bear fans, no Noah Lennox on this outing, a first for the group. Tangerine Reef is Animal Collective’s second audiovisual album, following ODDSAC in 2010, and was created to commemorate the 2018 International Year of the Reef, as several members are avid scuba divers and marine conservationists. The film outfit Coral Morphologic created the visuals for the album from live close-up footage of actual reefs, after having working with Animal Collective on several other projects this decade. The film is, naturally, a thing of great beauty (see clip below). The music on the album itself moves along like a slow drift, replete with sounds that are evocative for anyone who has experienced a reef with mask and fins. Melodies, percussion and vocals are heard as though refracted through the water. This is the best aspect of the concept of Tangerine Reef: creating what seems like an hour-long dive on the reef itself. Although the goals are lofty, Tangerine Reef comes across more as a requiem for the world’s reefs. The nearly monolithic slow pace and heavy conservation message (achieved by making you feel their loss) tends to drag over the album’s length. At least when snorkeling on a reef, divers experience regular unpredictable moments of delight when you encounter, say, a ray gliding along the bottom or seeing a colourful sea hare or a banded sea snake going about its business hunting for gobies amongst the coral. Alas, these kinds of creatures seem to have long ago vacated the spaces of Tangerine Reef. Opener and first single Hair Cutter sets the scene with sounds of water dripping and shimmering, thin synths with warbling, wave-like undertones. Like many of the tracks on Tangerine Reef, the vocals are somewhat pained and barely intelligible, which is a pity given the presumed message with the album. Buffalo Tomato follows, and again features biologic sounds that echo and float up like bubbles slowly making their way to the surface. Coral Understanding and several other tracks follow in this vein, with more submerged sounds, especially the vocals. Some tracks manage to surface above the silty murk, including Inspector Gadget, which sounds as if it’s been recorded under a pier, Airpipe (To A New Transition) in its contemplative undulating abstractions (with the vocals taking a deserved breather), and Jake And Me with a pleasant melody gurgling through the depths. The latter portion of the album is marked by Coral By Numbers’s heavy thuds followed by little bubbly trails of bright sound – could this track be about the percentage of coral bleached so far or the effects of dredging on reefs? Hip Sponge exhorts with the words “time is now, now is the time” – another oblique call to action, and is followed by the more dramatic Coral Realization with its heavy rising and falling synths and ominous low undertones, as if the reef itself was crying out in anguish. Finally, Palythoa makes for a rather bleak lament about the fate of our reefs, and closing track Best Of Times (Worst Of All) was probably intended as a call to conservation action, but instead comes across as though any such initiatives will be a doomed, hopeless venture. Overall, Tangerine Reef turns out to be a ponderous affair, possibly better served as a shorter concept EP rather than a full release given the gravitas of the subject. Panda Bear’s melodies and singing may have helped, but then again the downbeat nature of project is not really his style. 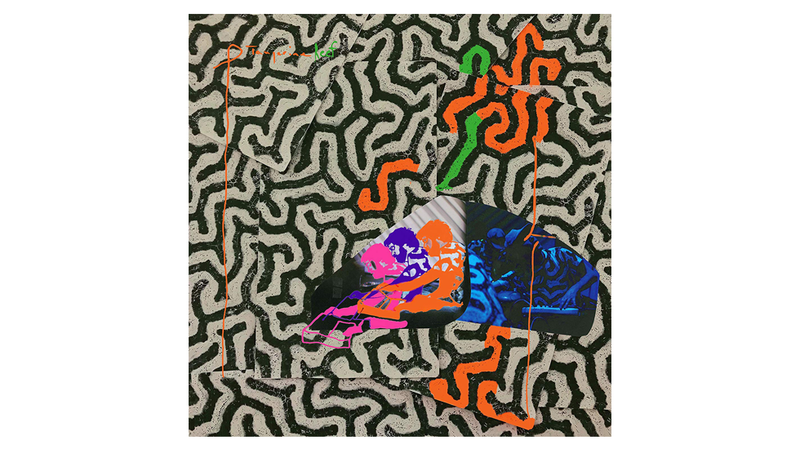 Tangerine Reef was created with good intentions to call attention to the plight of reefs and with a healthy experimental approach that Animal Collective is not shy of, for which they should be commended. Listening to the album does succeed in channelling the experience of a dive on a reef somewhat, but overall the excursion will likely leave one exhausted and drained.